There are currently 28,215 users on this website. 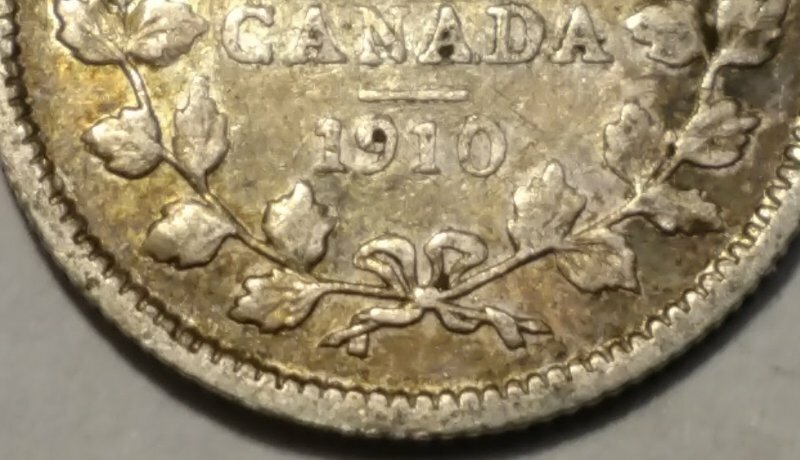 1910 Canada 5 Cents - Pointed Or Rounded Leaves? Just trying to see if this has pointed or rounded leaves. thanks! I would say round leaves as they are farther from the rim and they don't have the sharp point. Let's see what others have to say. It is the Maple aka Round Leaves variety. In the future, please show the complete coin in your images. There are other markers to distinguish between the two. Awesome, thanks so much guys! I can take more pics of this one if you need to identify further? No more pics required on this one. especially on the older ones. It is OK to show a closeup of the area of concern. Okay cool. Thanks a bunch for your help :) I'll keep that in mind for next time. Cheers and have a great weekend.